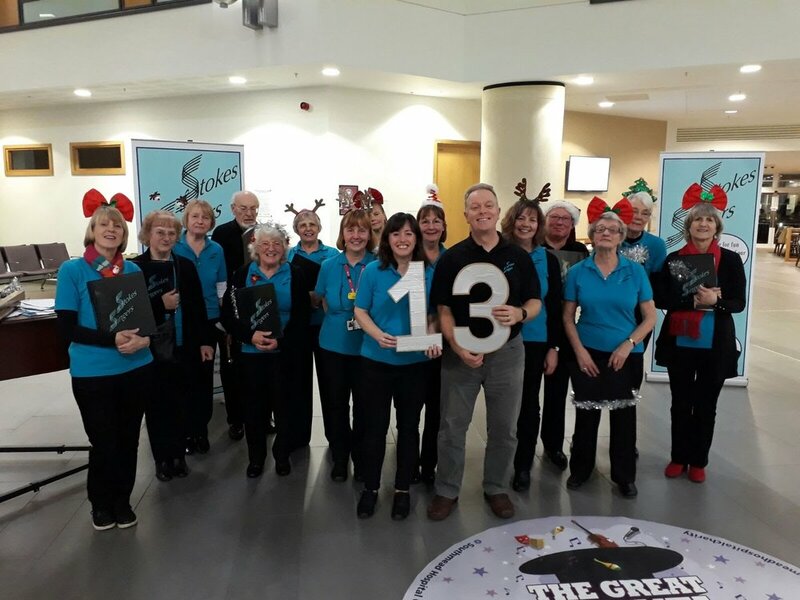 On Saturday 1st December we’ll be returning to support Southmead Hospital’s Buskathon but this year we’ll be performing in John Lewis at The Mall, Cribbs Causeway. The music starts at 11.00am with Bristol Male Voice Choir and we’ll be rounding off the programme from 4.00pm. Look out for us in our Christmas jumpers with our usual festive headgear and, of course, our jingle bells! Meanwhile here’s a memory of last year’s Buskathon in the hospital atrium at Southmead.